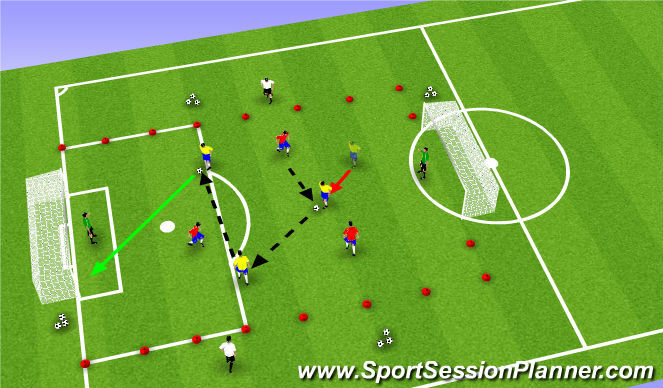 - Players play 3v3 game inside marked area. - One team attacks the full size goals, while the other team aim to play to the target players to score. 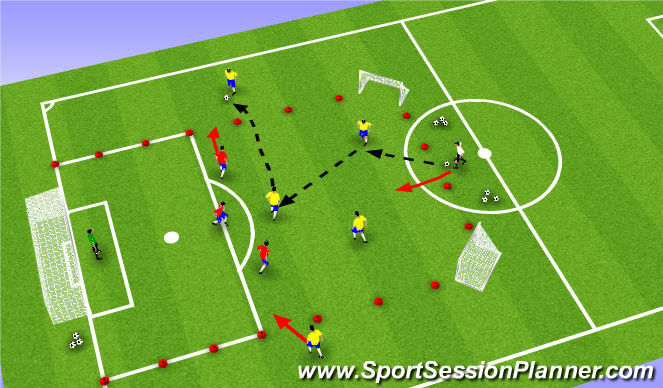 - Finishing: Timing & execution of finishing technique. Don&apos;t hesitate, act on your instincts. End Product! - Positioning: Movement to unbalance & break the defensive line. Exploit the gaps! 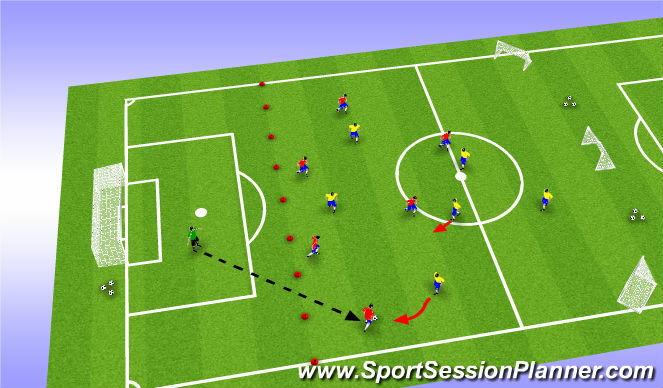 - Transitions: On losing possession REACT, ADAPT & RE-ORGANIZE as a unit. Press the ball! - If Goalkeeper saves the ball theynow look to distribute to Defenders.